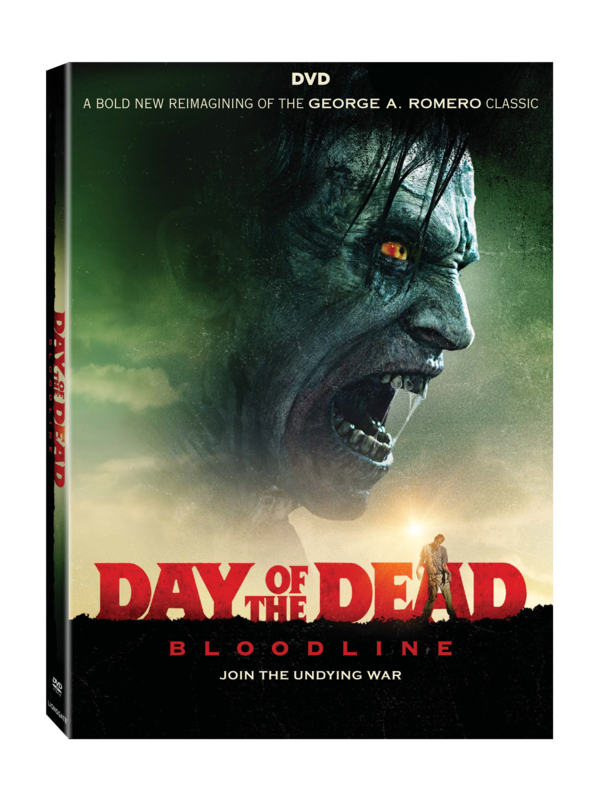 Lionsgate has announced their new Day of the Dead: Bloodline will be released on DVD and Blu-ray February 6. The film is described as a “terrifying retelling of George A. Romero’s zombie horror classic” starring Jonathon Schaech (Prom Night, Ray Donovan) and Sophie Skelton (Another Mother’s Son, Outlander). Romero’s Day of the Dead was previously remade in a 2008 film starring Mena Suvari and Ving Rhames. Bloodline is currently available for rent through Video on Demand. On February 6 it will be available to own on VOD as well as on physical media. 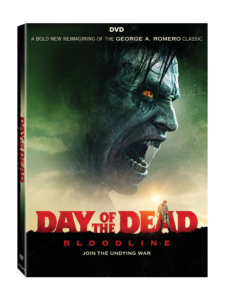 All versions of the movie will come with the featurette: Day of the Dead: Bloodline: Reviving Horror. The Blu-ray will be 1080p with 5.1 DTS-HD Master Audio.